Over the past decade, the influx of the divine feminine energies flowing into the human psyche, have finally grounded into physicality, evident by women all over the globe reclaiming their sovereign right to coexist equally in all ways on the planet. This was desperately needed to dissolve the patriarchal paradigm that has existed for hundreds of years, and regain the original balance of co-creation and co-manifestation between the divine feminine and divine masculine. Each half an expression of God, having their own attributes and contributing to the yin and yang of our universal existence. In the energy of the Divine masculine, men can once again be warriors without warring over others and powerful without overpowering others. They can be compassionate and kind and not be judged as ‘less then’. They can maintain harmonious relationships based in love, honor and respect to all, without fear of ridicule or being called weak. NOW, as the Divine masculine energies are truly reemerging, men are feeling the intensity psychically, spiritually, vibrationally and physically. As the Earth, known as Gaia, is the embodiment of the Divine feminine, so the Sun, known as Solaris, is the embodiment of the Divine masculine. Light filled codes from Source Creation are synthesized and amplified through the portal of the Sun’s electro magnetic photonic field. These bursts of plasma disrupt our own magnetic field, allowing the integration of these light codes into our DNA which drives our consciousness. These powerful frequencies can cause us to feel like we’re in a tail spin, especially men as they carry the codes to seed the divine masculine into the collective psyche. The effects are two fold: spiritually men are looking at and feeling into what their roles are and were in the past, and how those ‘roles’ may no longer fit. As they absorb, integrate and understand these new energy dynamics, many emotions come up that need to be reviewed and released, forgiven, embraced but not judged. Where there is fear or judgement there is a lack of love, for oneself and for others. In addition, men are not just dealing with their own personal transformations, but they are part of the transmuting of these patriarchal energies, so deeply rooted, for ALL mankind; not an easy feat. The second is physically; the high frequencies downloading into the body can cause an array of symptoms, some of which can be staggering. It is so important to recognize that if we are holding onto energies which no longer serve us, that can cause ‘bottlenecking’ in the chakras, and the additional energies we are absorbing put us on overload. As we are expanding into multi-dimensionality, our energy systems, or chakras, are also expanding. The Well of Dreams, or Zeal chakra, located at the base of the skull, also known as the Mouth of God, has been activating for many men. It connects us to divine directive, psychic information, dreams and inter-dimensional travel. It can make one feel very powerful as it comes online. As masculine energy in the collective is expelling the ‘power over others’ paradigm of the patriarchy, it can feel overwhelming and confusing. It’s important to call in light filled protection and remember, especially in this time of chaos and division that by trying to convince others of our beliefs, or conversely of not expressing what we are feeling in our heart, will only cause discomfort and dis-ease. Absorb God’s love filled light into your heart. Be kind to yourself and your body, be true to yourself as directed by your intuition, ask for help and be open to accept it and go with the flow of where your life is leading you. Know that all is unfolding in the Divine plan, we are all playing our parts, and all is exactly as it is meant to be. Trust, have faith and believe in yourself and your part in the Divine plan, and all is well. If we are the image and likeness of God, and God is infinite love; then every creature, every creation in all the world, is the incarnation of Absolute LOVE. It has come into my awareness that we are evolving to the point of being able to enter streams of higher consciousness in a fast and easy way. Think of it as taking the training wheels off of a bicycle. Previously, in meditation, we removed ourselves from being consciously aware of our physical environment through a series of steps meant to disengage us from our reality. Using a variety of techniques such as grounding and connecting to Gaia/Earth, running energy up through the chakras, visualizing, listening to sounds or music, focusing on breath, we expanded our consciousness until our awareness of self as a physical body was gone. NOW, our solar system has traveled into a highly charged section of the galaxy, what physicists are calling a “photonic fog”; a cosmic field of such a high vibration it is upgrading our DNA and propelling us into a higher dimension. As we move out of third dimensional time/space boundaries and enter into fourth/fifth dimensional energy, merging realities and expressions of our multi dimensional selves becomes much easier. Imagine you are standing in front of a shallow pond. You step into the pond, and the force of your energy sends a ripple effect out through the entire pond. The water and everything within the pond feels the movement and responds in synchronicity. Imagine the water moves, the seaweed waves, the sea life in the pond feel your movement. Everything in that pond has become aware of your energetic frequency. You have become one with the pond. Using this image as an analogy to understand the concept, I then saw my purest form just stepping forward into higher streams of consciousness in such a simple way. 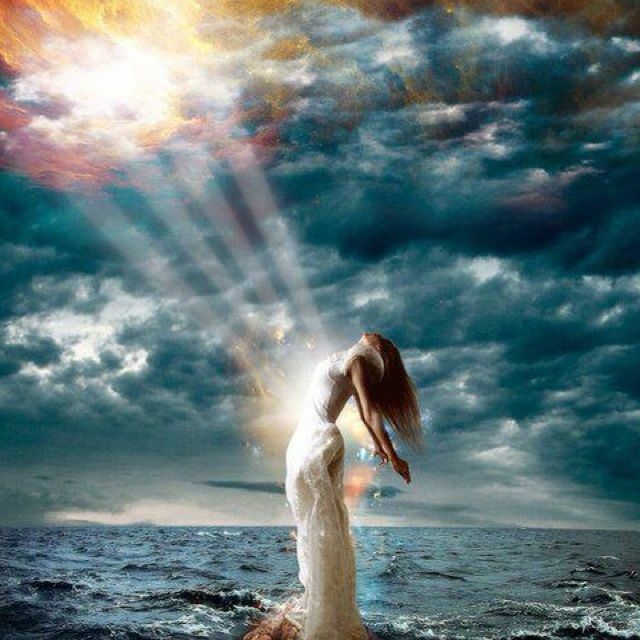 I see/feel my etheric self sending my energy out in a wave that breaks the time/space barriers and connects to the quantum field of higher consciousness instantaneously. I AM THERE. This is an opportunity to STEP INTO HIGHER CONSCIOUSNESS in a most efficient way, evolving from former rituals, in just one moment, like stepping into that pond. 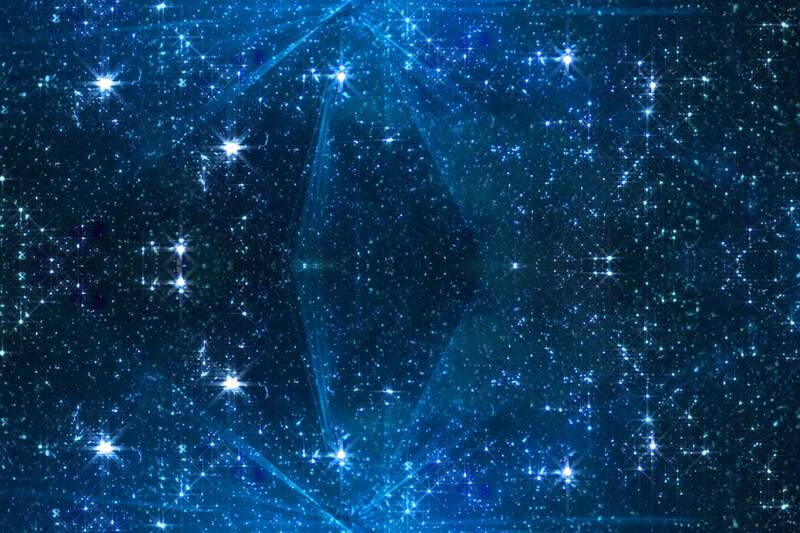 By connecting to our fifth dimensional selves and beyond, we have access to streams of energy, consciousness, and beings that we are able to experience via our resonance. So NOW, I simply step into the quantum field. I see my energy as a force field emanating all around me and breaking through barriers. I am outside of time and space and bask in the limitless, blissful, expansive magical place of higher consciousness I call HOME. Welcome to The NOW Year, 2018, when every magnificent possibility exists in our field of potential. As we speed along, the old timeline is collapsing, and with it SO MUCH DEBRIS is being cleared out of the human collective. We are evolving from humans to hue-mans, our DNA directing the course of this crystalline transfiguration into a heightened spiritual state. Supported with the higher consciousness of the Christed light, we will see our world transformed. As the solstice ends, it brings winters’ soft light; a time of introspection, going within and reconnecting with our deepest thoughts, desires, hopes and dreams. It is a time to elevate our consciousness, to listen to what our heart is telling us and where our intuition is guiding us. It ushers in the most Divine season and moves us to open our hearts to humankind, to see each other as brothers and sisters who expand our lives through diversity as we share this globe. And it is Peace across this jewel of a planet that is my greatest desire. After decades of never ending war, it is time for this warring to end. Universal Law, the law of Universal Peace, Brother and Sisterly Love, individual Freedom and Prosperity for All, these are the laws we need to follow. And when Peace finally reigns, we can move out of war and into LOVE and create the lives we dream of. During this season of ‘Peace on Earth and Good will to Men’ let us be as human transmitters of Divine Love to make that wish our reality. I wish you Love, Peace, Freedom and Prosperity! The past is done; or is it? New information comes to light and the past changes. The future is unknown; or is it? We create our future with our thoughts, intentions and actions. This MOMENT is where we exist, each breath filled with potential and unlimited possibility. Live not in the past nor the future, but NOW. May all of our moments be filled with Grace, Love, Compassion and Peace.
.: BACK TO BEGINNING :. .: READ MORE ARCHIVED BLOGS :.